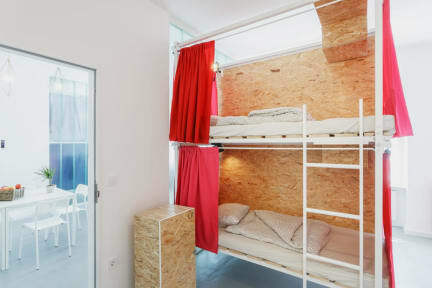 Avenue Hostel kohteessa Budapest, Unkari: Varaa nyt! Awesome hostel, would stay again! The location is central which makes it a bit noisy out there but otherwise everything was perfect! Overall an ok hostel. Unfortunately our phones were stolen during the night when we were sleeping. One of the biggest problems was that there were no locks on the rooms' doors. Also the security cameras were off because of construction so the hostel didn't have anything to help us. Staff was okay but they could have been more friendly and helpful.